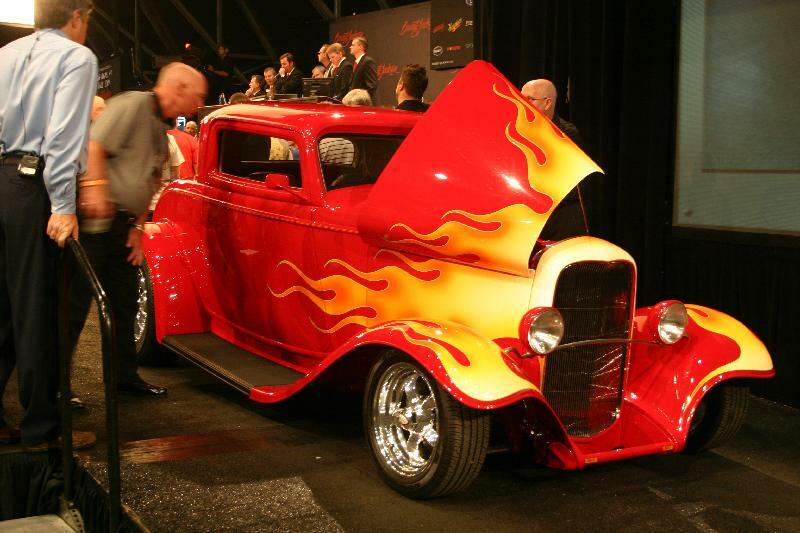 Home » Shows & Events » Barrett Jackson Auction’s Salute to Boyd Coddington? Barrett Jackson Auction’s Salute to Boyd Coddington? I expect a hot rod driver or builder to know who Boyd Coddington was. Like him or not, there’s no denying his influence on style and the budget of custom cars, especially the one-off rides built for his TV show, “American Hot Rod”. His death almost 1 year ago shocked the custom car world. 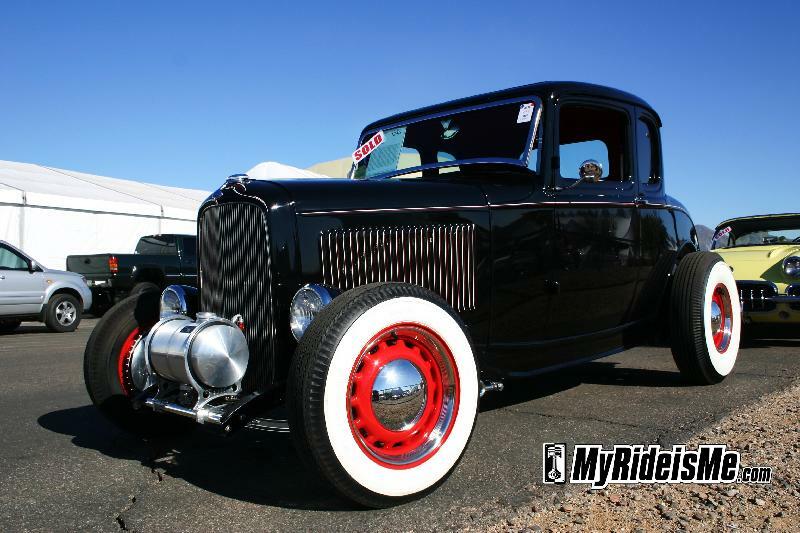 It looked like there were alot more hot rods and cars that I’ll call “regular” at the 2009 Barrett Jackson Auction in Scottsdale, Arizona this year. What the heck is regular? Well, I just mean they’re somewhat obtainable by more then just wealthy collectors out there. I guy with a dream who’s been saving for a while might have a shot. With the “dreamers” and the collectors all gathered at Barrett Jackson, how many knew who Boyd Coddington? Quite a few! Also supporting my Boyd buy theory is this Chip and Sam Foose built 29 Ford Sedan. This steel car will be the topic of another blog. I got a chance to chat with the new owner and he was tickled to have such at great car for $50k (without commissions) With 15″ Boyd wheels, this low slung sedan is in fantastic condition and anything with Chip Foose’s name on it, I think, also should fetch a premium. Did it? I think in a few years, it’ll take alot more money to own a car built by Foose. More on this cool 80’s time machine in a future blog. 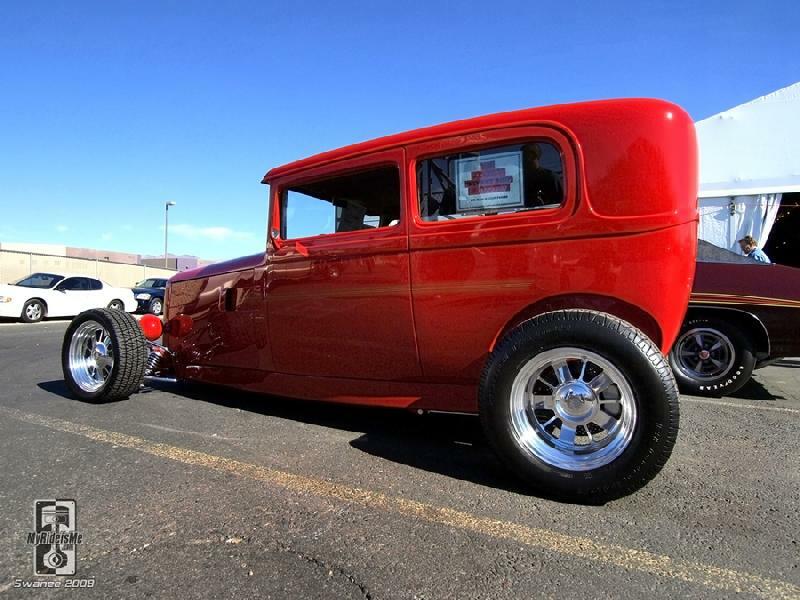 Finally, I’ll throw out another 32 Ford 3 Window coupe for you to ponder. This is a different, much more nostalgic looking 32, but for years, any steel 32 was fetching big, BIG dollars, weren’t they? This car sold for $58k. Is that right? This car was CHERRY! I checked, it’s a steel car and features a somewhat ordinary 350/350 combo, but with the simple but stylish interior, artillery steelies and whitewalls, this is my style. So did the Boyd name bump up the price at auction or was it a simple case of 2 guys really wanting the same car? This car fetched the big bucks because it was a Boyd car and there is no way you could build a all steel body 32 ford of this calibur for 200k.How do I know this? Because I am the guy that got this car ready to go out to Scottsdale, I did a complete detail from top to bottom on this car and it was professionaly built with no expenses spared. With lots of photos of Boyd with car it was a great buy for someone who was a Boyd Coddington fan. Thanks for your comment Scott. I should probably say that I agree… $200k was no where near the build cost for this car, especially given Scott’s inspection/comment. With the cost of one-off billet pieces and custom paint, $200k won’t get you very far with the top builders.